There's still widespread disruption on First Capital Connect between Bedford and Brighton after yesterday's overhead wire problems at Hendon. A limited service is now running between Bedford and Blackfriars, but there are still cancellations and delays. UPDATE: Central London: A401 Shaftesbury Avenue N/B at j/w Piccadilly Circus - All lanes open and traffic is flowing well. ALL CLEAR. Walthamstow Central tube and bus stations are back open after a false alarm. The area was cordoned off earlier as emergency services dealt with a suspicious package. All is deemed safe and trains and buses are running again. A train that crashed into the roof of Blackfriars station has now been removed. 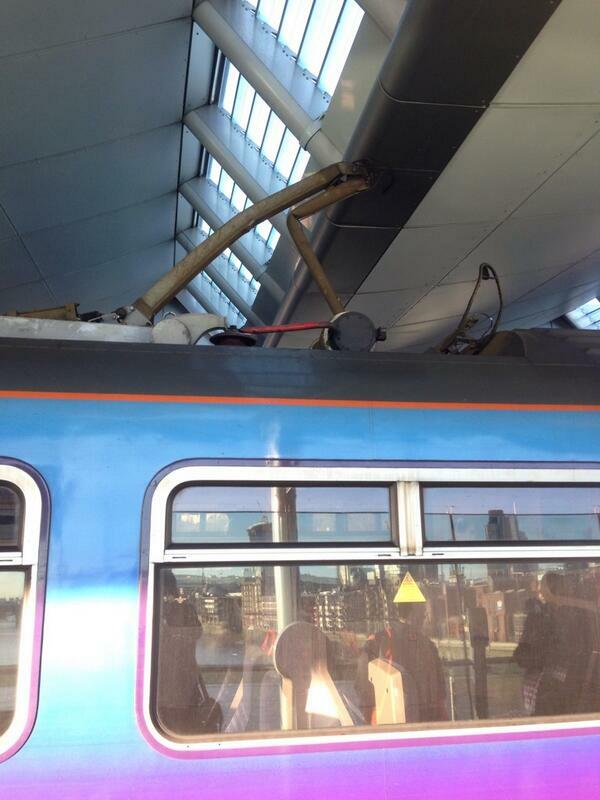 There are delays after the top of a train crashed into Blackfriars station roof. Due to a broken down train at London Blackfriars @southernrailuk are accepting our tickets. HS2 rail project is a "grand folly"
Can you get compensation for snow chaos?